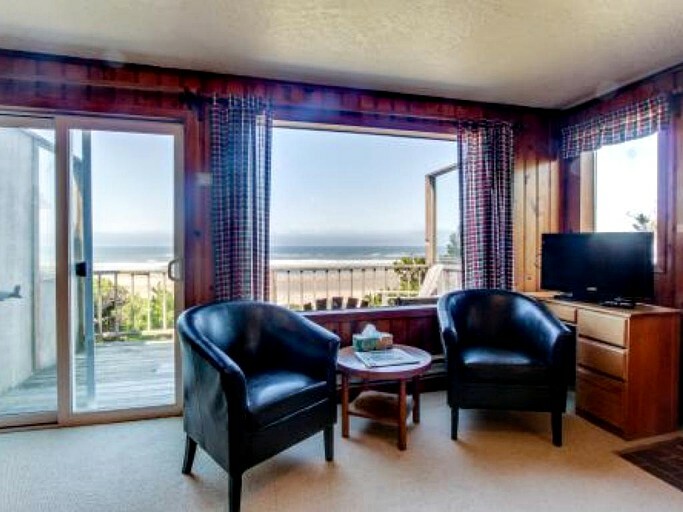 With a pet friendly room right on the beach for our dog Marley and a charger for our Chevy Bolt we couldn't ask for more. 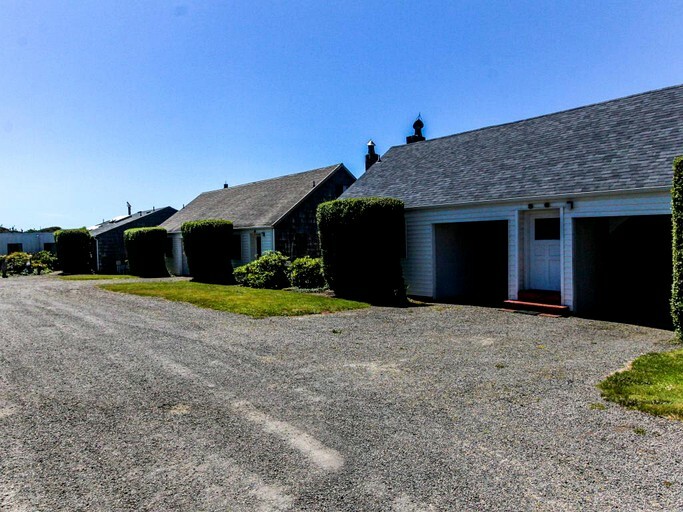 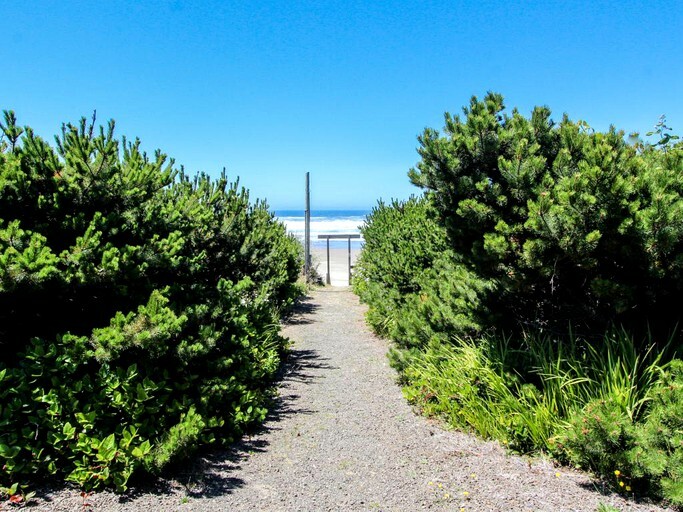 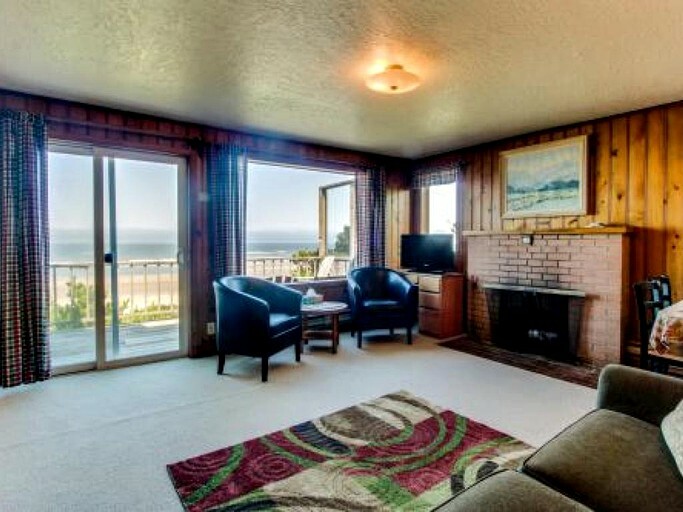 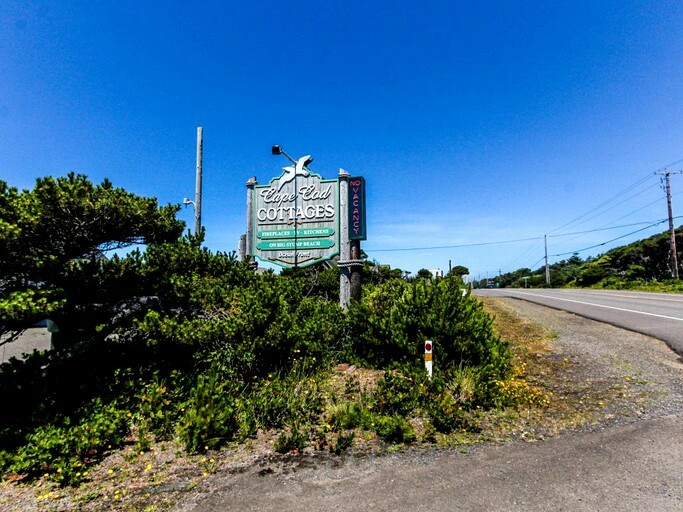 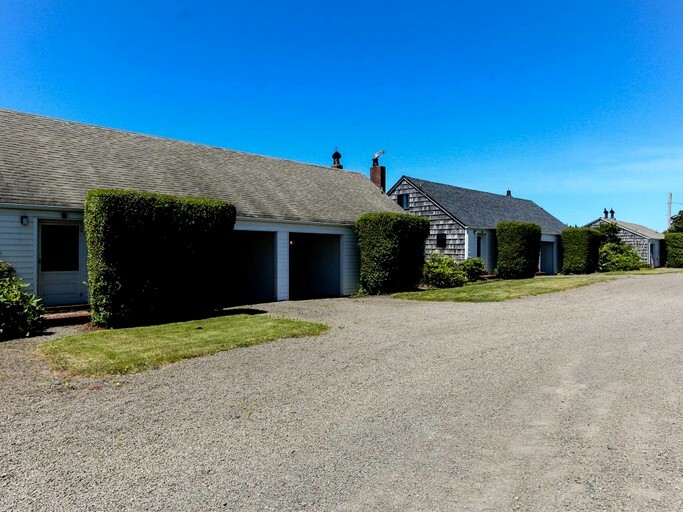 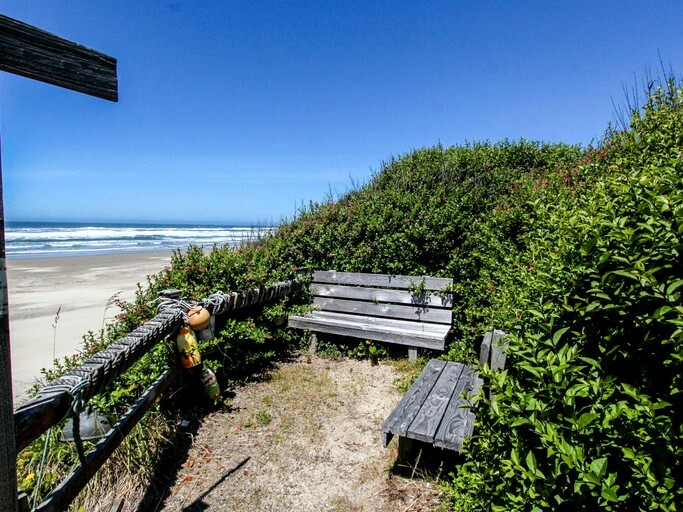 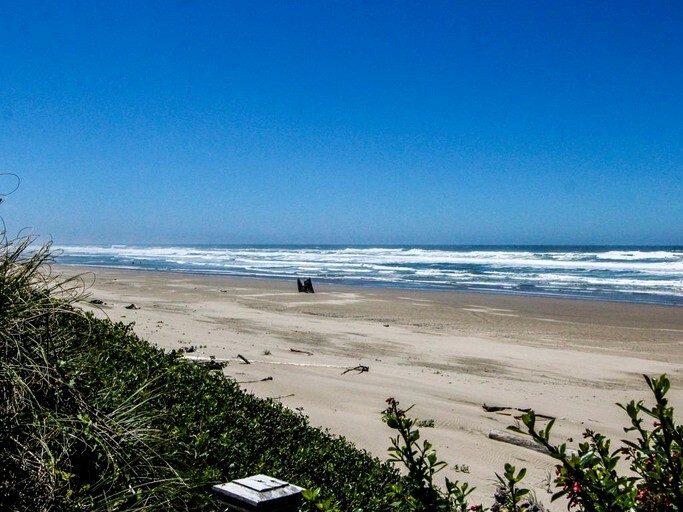 The beaches of Oregon are renowned for their natural beauty and for being unspoiled with those of Waldport being no different. 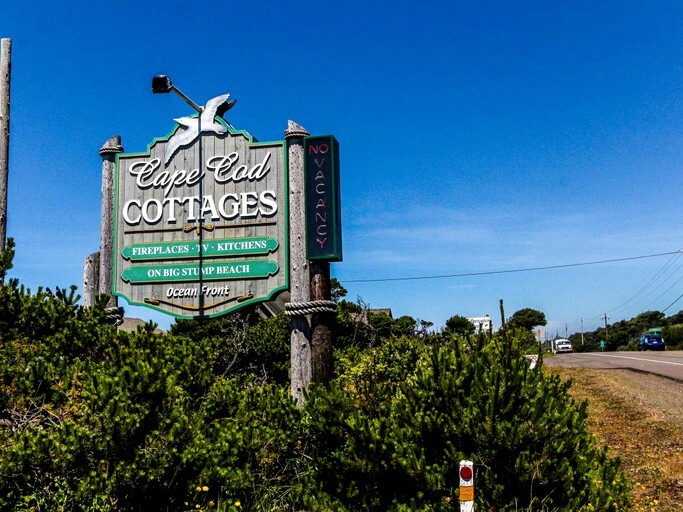 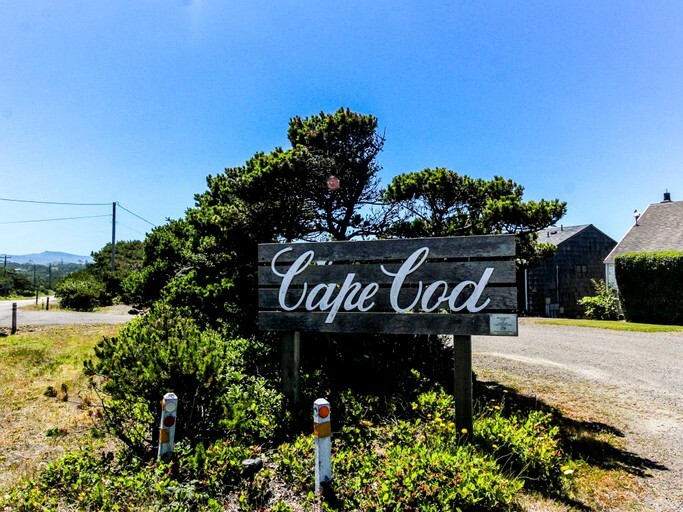 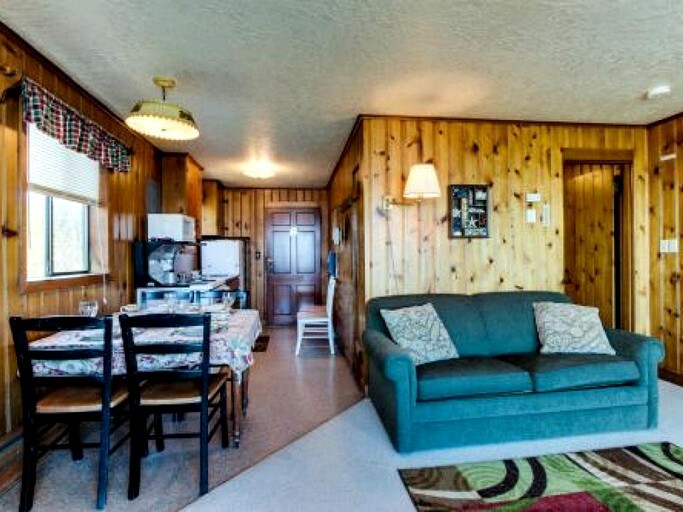 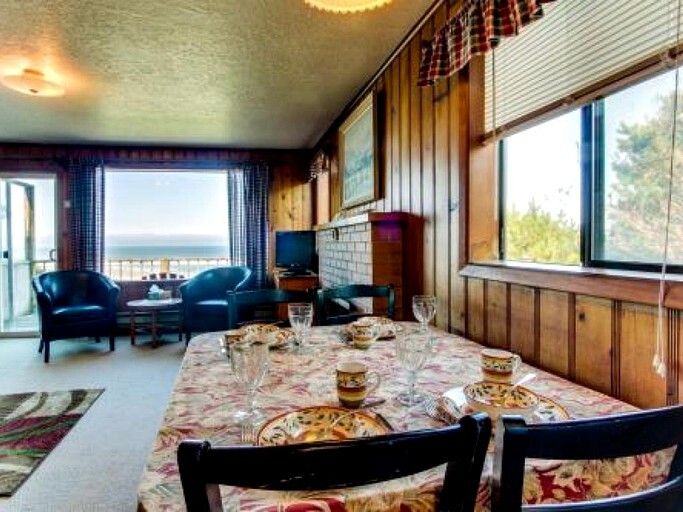 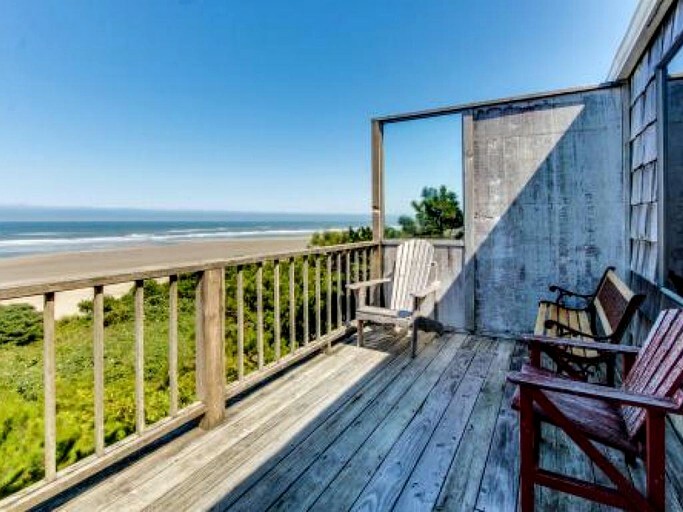 This beachfront cottage offers four guests the opportunity to unwind in a homey space while being able to explore the serene coast of Lincoln County. 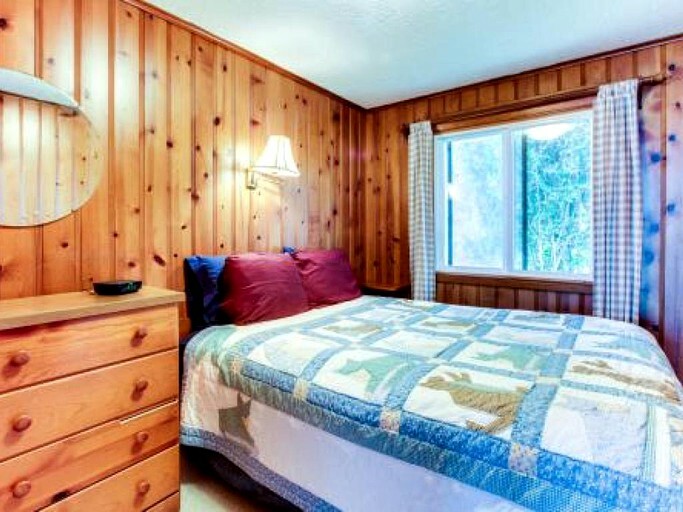 The cottage’s large bedroom has been lovingly decorated to provide a relaxing space for guests with a carpeted floor, quality linens and plush pillows adding to the comfort. 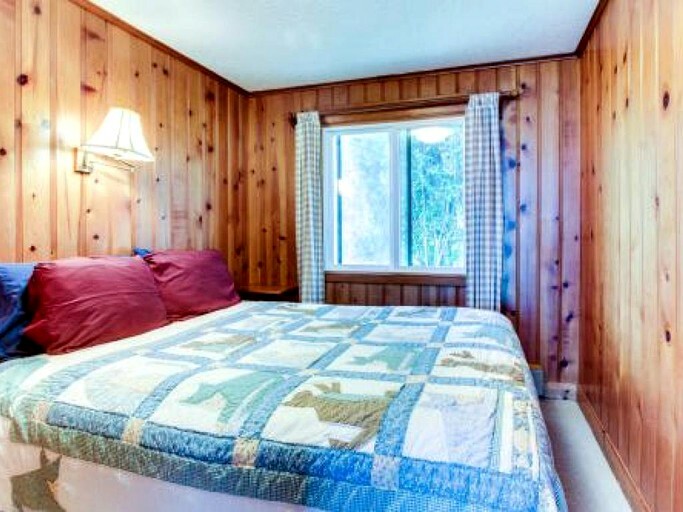 There is a queen-size bed, bedside tables with reading lamps, and a chest of drawers for storage while two extra guests can stay in the living room’s sofa bed. 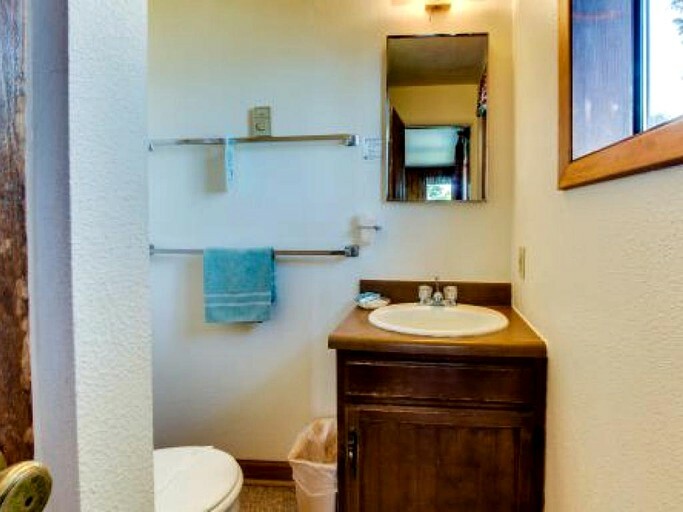 The full bathroom has a walk-in shower, a toilet, and a hand basin with fresh towels and a selection of toiletries to use. 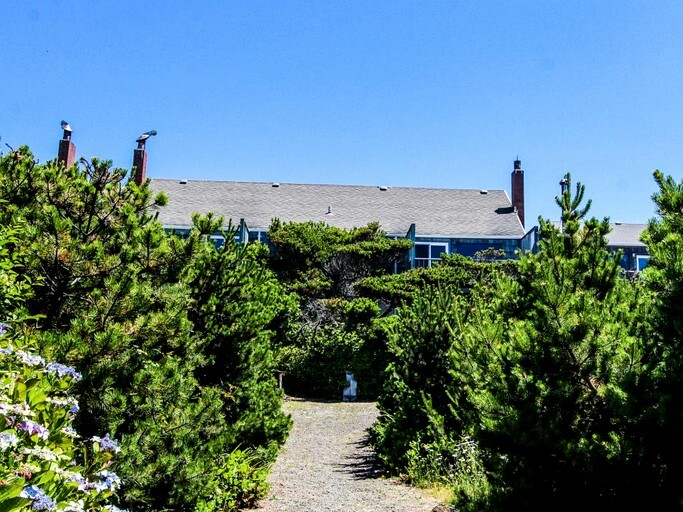 The cottage comes complete with a wood-burning fireplace, a fully equipped kitchen, and a porch that boasts magnificent views of the ocean. 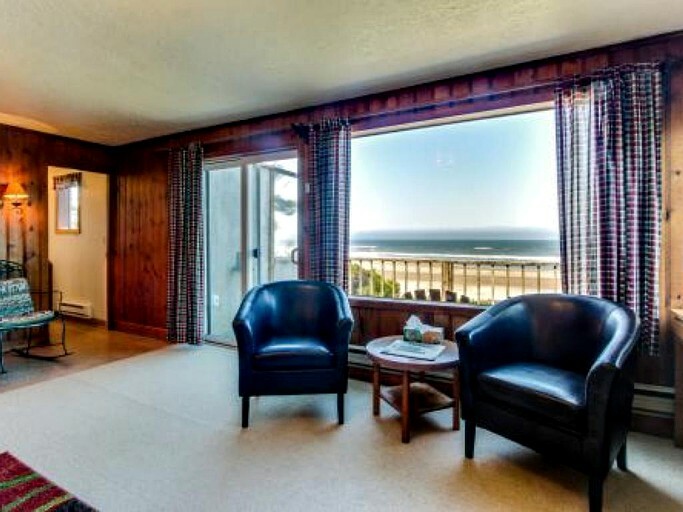 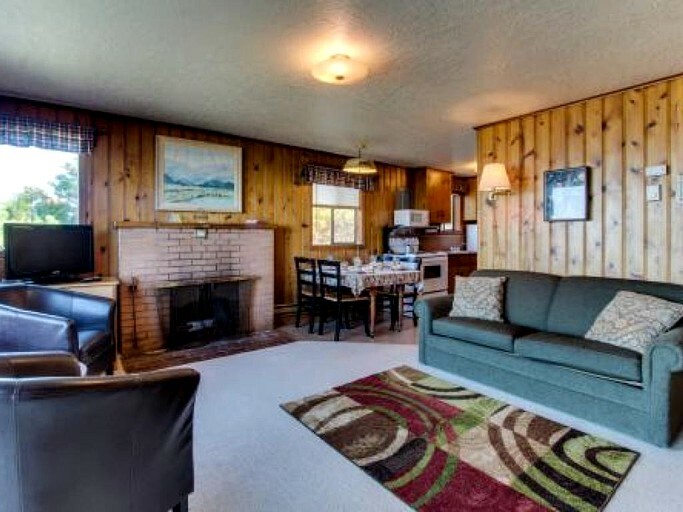 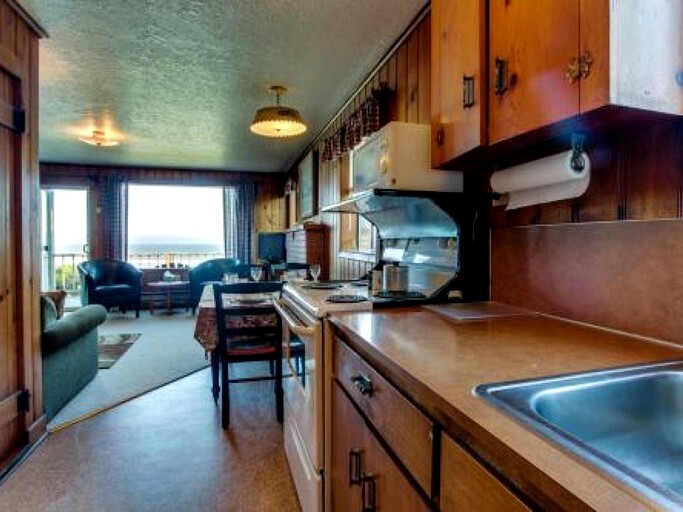 Guests have access to free Wi-Fi, a flat-screen television with cable, and free on-site parking. 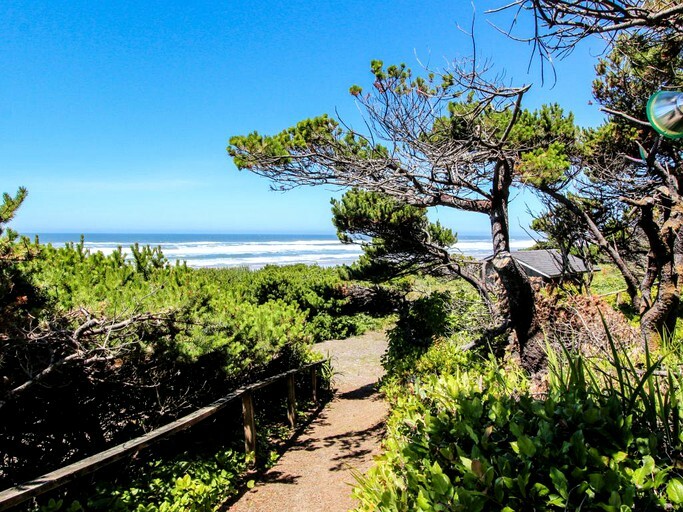 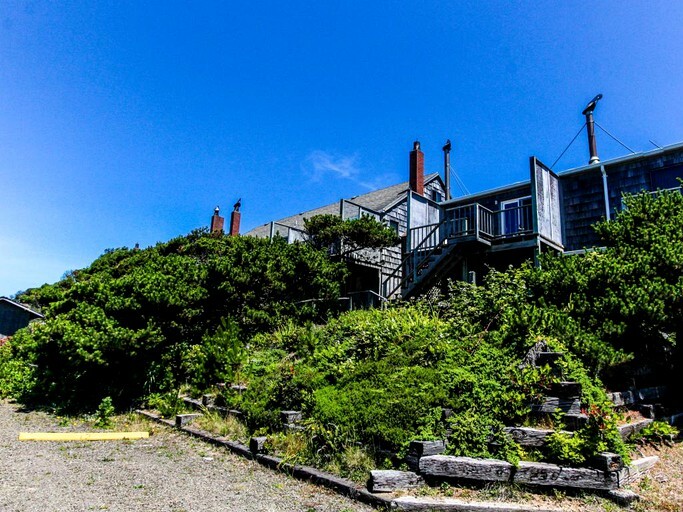 Guests can learn more about Waldport’s history and the community at the Alsea Bay Historic Interpretive Center or head up to Newport and check out the Oregon Coast Aquarium and the Hatfield Marine Science Center. 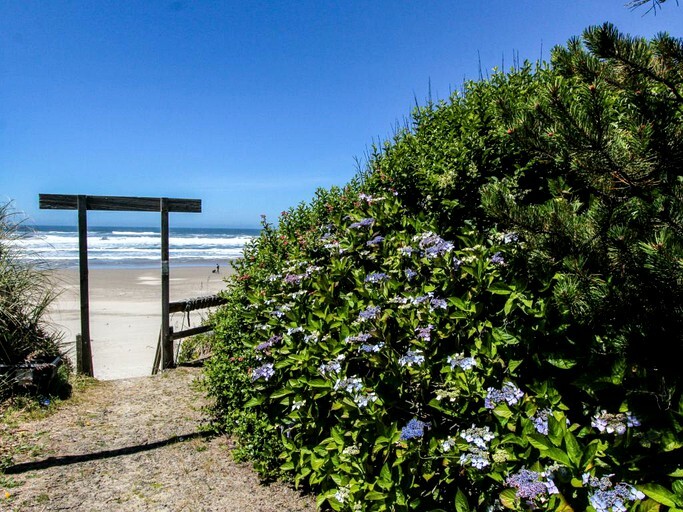 Lincoln County is also home to numerous top class restaurants that serve up local cuisine including fresh seafood caught on the Oregon Coast. 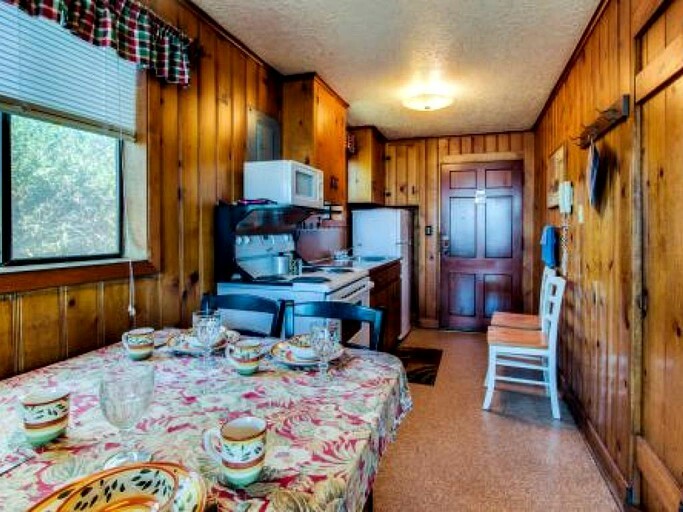 This property is pet-friendly with a two-dog maximum.